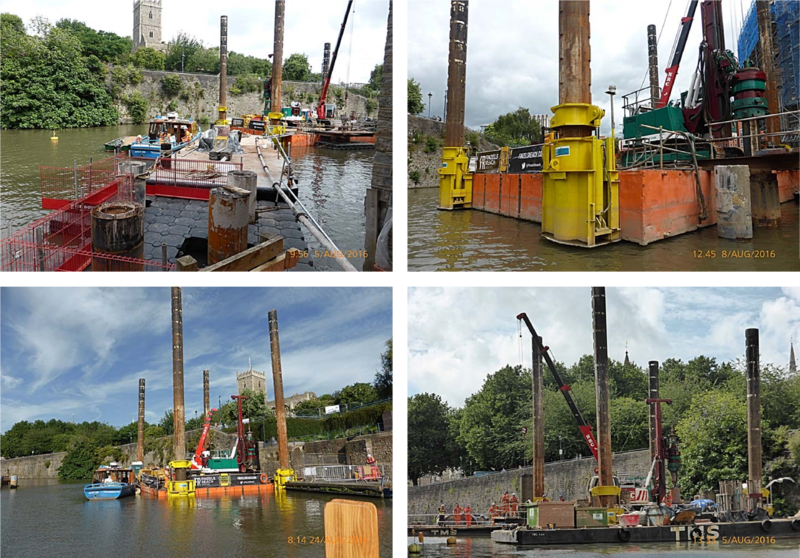 TMS are assisting Andrew Scott Ltd with the installation of a new foot bridge at the Finzels Reach Project. 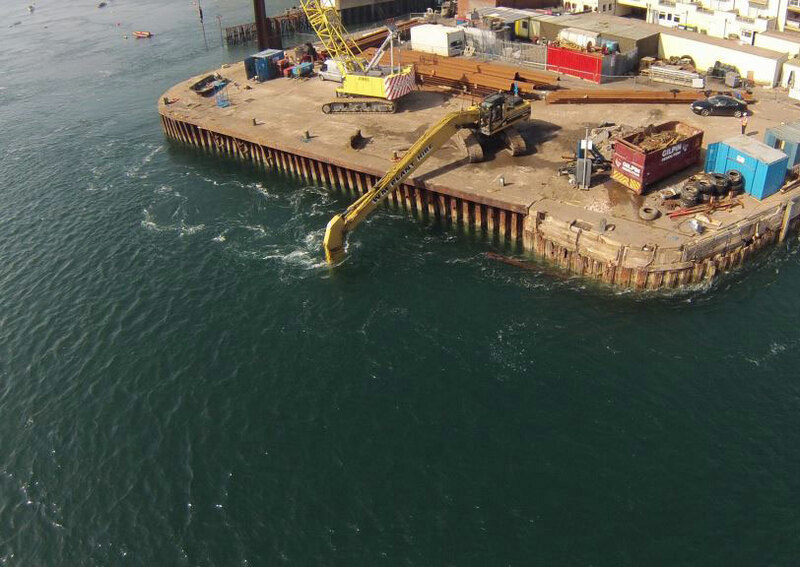 We are supplying all floating plant and marine support including diving and pile installation with our Movax. 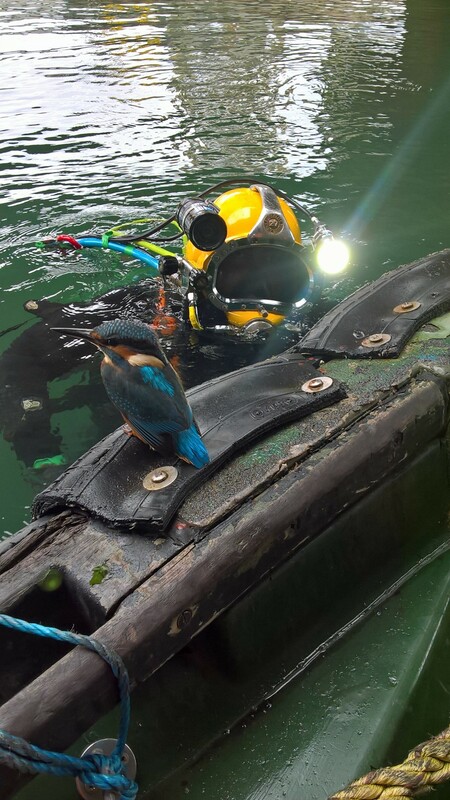 Looks like the kingfisher wanted a closer look at our works! Take a look at our nice new HD camera and light! 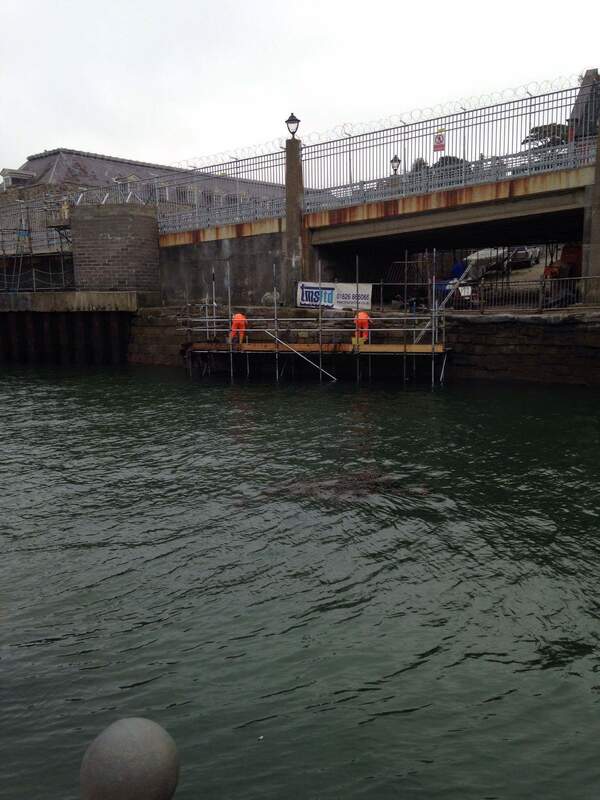 TMS have been instructed by Plymouth City Council to rebuild the Sea Wall at Devonport’s North Corner Pontoon. 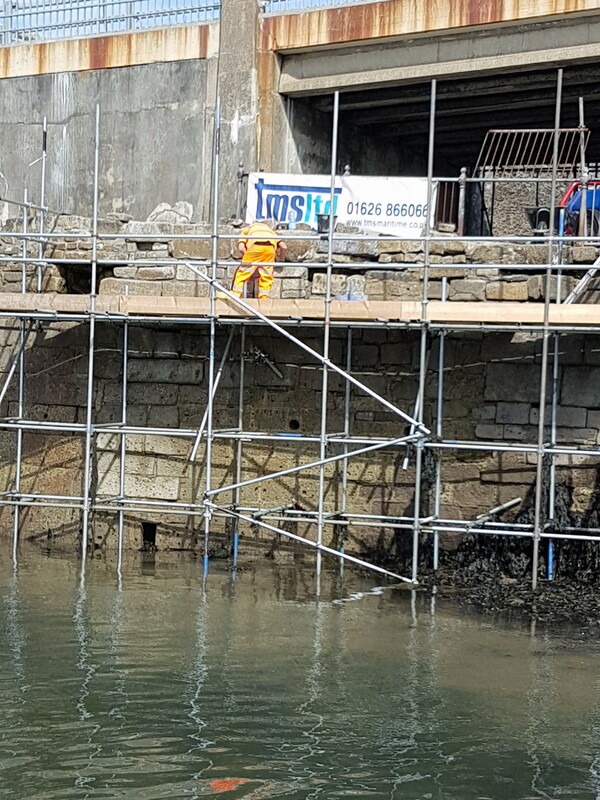 TMS are using the original granite stone which had fallen out by storm damage. 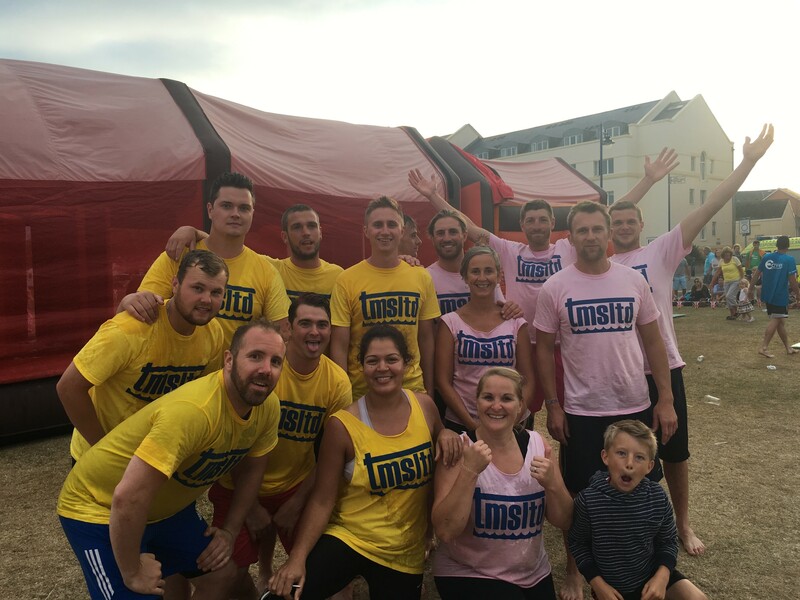 project has an anticipated 18 week on site duration being completed by April 2017. 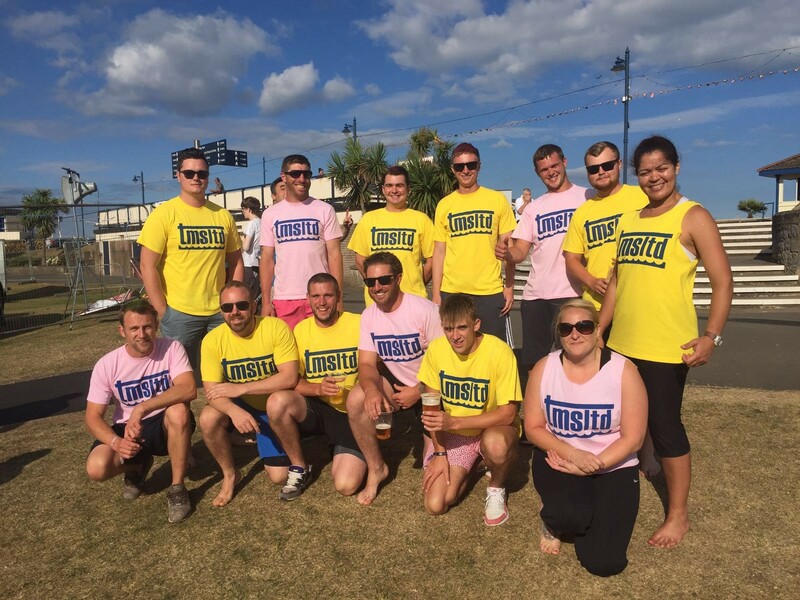 TMS returns for a second year at Teignmouth’s It’s a Knock Out Competition, two teams entered putting their heart and soul in to this community event, see before and after pictures.